Our mission is to deliver high quality leads that help you boost your sales. That's it. Everything else we do is a means to that end. Our lead generation programs give you an edge over your competition. Beautifully designed websites with lots of traffic are nice, but if you're not getting a nice return on your investment, you need to fire your web designer. Nobody is Better at Converting ﻿Web Traffic to Quality Leads ﻿than the Scott McKellam Agency! We take great pride in our ability to deliver quality prospects to your business. We capitalize on digital advertising opportunities, search engine marketing, dynamic website design and we have the ability to track it all to keep your customer acquisition costs low. Increase your online presence by employing our multiple lead generation strategies. Our Custom Lead Gen formula is equal parts strategy, implementation and tracking. Most websites lose over 95% of their visitors without converting them into leads. It's a crime! But why? We understand your customers. We know they don’t want to buy right away, so they leave. They surf. They get distracted by shiny objects and funny cat videos. 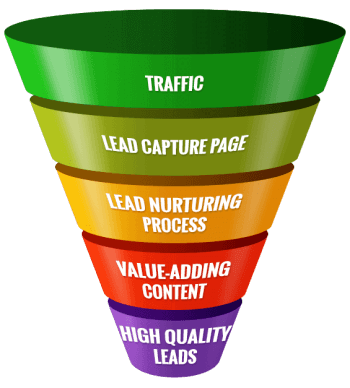 The Scott McKellam Agency Lead Generation Funnel uses proven digital marketing techniques to capture your visitors' contact information, peak their interest over time, and then help you convert them into life-long paying customers. We send traffic to landing pages that are designed to quickly spark interest and urge immediate action. Our content is original and provides enough value to the visitor that they happily hand over their information! We work with you to create free information we exchange for their contact details. We deliver quality (and FREE) content, something of great value to the prospect, and they are more than happy to take action. Once we’ve got their information, we can follow up with marketing emails and special offers. And frankly, the best part is that the whole thing is 100% automated. Because we actively attract visitors through online ads, you don’t have to rely on the hope that people just happen to stumble onto your site. We make it happen! At the Scott McKellam Agency, we deliver top results through organic search engine optimization. There are a lot of firms out there who say they provide SEO services ﻿to ﻿local businesses, but only a few have the expertise necessary to produce continued improvement in search engine rankings. Our clients ﻿experience ﻿great sustainable online success - and that speaks ﻿for ﻿itself. Let Us Help You Drive New Business!